Is Skyn Tyte the Skin Care Solution for You? Skin Tyte is a laser treatment which delivers broad band light energy to the dermis of the skin in order to tighten sagging skin and reduce the appearance of other signs of aging. Skin Tyte is unique in that it cools the surface of the skin while sending heat in the form of infared light into the collagen underneath. Other problems caused by the sun or environmental factors can also be corrected with this gentle laser process. Skin Tyte can be used to treat acne scarring and rosacea. It is often used in combination with other procedures such as micro dermabrasion, Botox injections, or chemical peels. 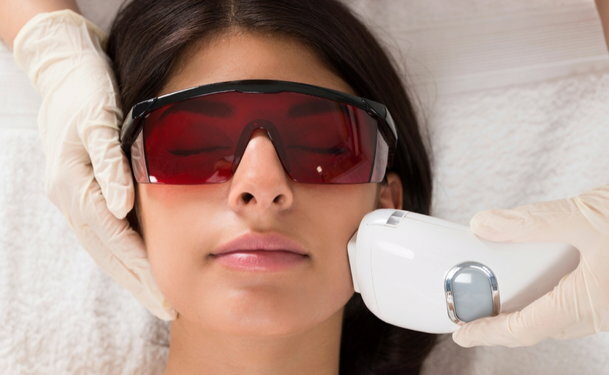 When the collagen beneath the skin’s surface is heated by the laser’s light energy, the blood partially coagulates and causes the collagen to contract. This lifts the surface skin along with it. The energy from the laser promotes new collagen growth and also diminishes fine lines and corrects discolorations in the pigment of the skin. What areas of the body does Skin Tyte treat? Unlike some other laser treatments intended on for use above the neck, Skin Tyte can be used on any part of the body where the skin appears lax. This includes not only the face and neck, but also the backs of the arms and areas of the abdomen. Some doctors will even use Skin Tyte to treat the lips and eyelids. What are the advantages of Skin Tyte over other similar treatments? Skin Tyte is a treatment that can produce significant changes in one session, without pain. It allows the patient to return to daily activities almost immediately. Skin Tyte does not harm the epidermis in any way, and it is a procedure with very little risk. Skin Tyte lasers have a larger spot size and pulses faster, which shortens the time of treatment. Who is a candidate for Skin Tyte? Skin Tyte is appropriate for both males and females of all skin types. It shouldn’t be done on pregnant women or on individuals with extremely dark skin. People with autoimmune diseases and those with connective tissue disorders should not consider Skin Tyte. Patients taking Acutane should stop at least four months before the Skin Tyte process. People with active acne, herpes, or rosacea should wait until the blisters have cleared before scheduling this treatment. How is Skin Tyte performed? In a forty-five minute session, the care provider will run the Skin Tyte laser over damaged areas. As the heat energy builds up beneath the skin to energize the collagen, the skin’s surface is cooled to maintain a comfortable temperature to keep heat from damaging the epidermis. 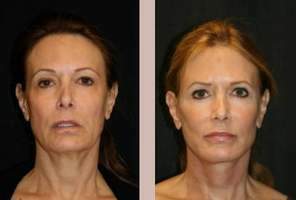 Normally, three to five Skin Tyte treatments are necessary to get the best results. Then, some patients choose to return twice yearly for maintenance. Although some redness will remain for a few hours after treatment, most patients can resume their normal schedules, depending on the amount of work that has been done. Most need no pain medication at all, but the few who do use over-the-counter tablets. A very few patients also experience a few blisters or slight swelling, but this disappears quickly. Doctors stress the importance of limiting sun exposure to prevent future damage and the need for further treatment. After the first treatment, patients will notice a younger appearance. Sagging skin will appear tighter and pigmentation irregularities will be greatly improved. After two treatments patients typically see at least seventy-five percent improvement in the treated areas. These benefits should continue for several months. The Skin Tyte procedure has over a ninety percent consumer satisfaction rate. No major risks are associated with Skin Tyte. Pigmentation problems have also been noted, but these quickly return to normal. Is Skin Tyte approved for use in the U.S.? Skin Tyte is approved for dermatological use in the U.S.
Is Skin Tyte covered by insurance companies? Unfortunately, the Skin Tyte procedure is not covered by insurance, Medicare, nor Medicaid.